of Brazil, Raimundo Colombo, Governor of Santa Catarina and Ludwig Willisch, Head of Region Americas, BMW Group. 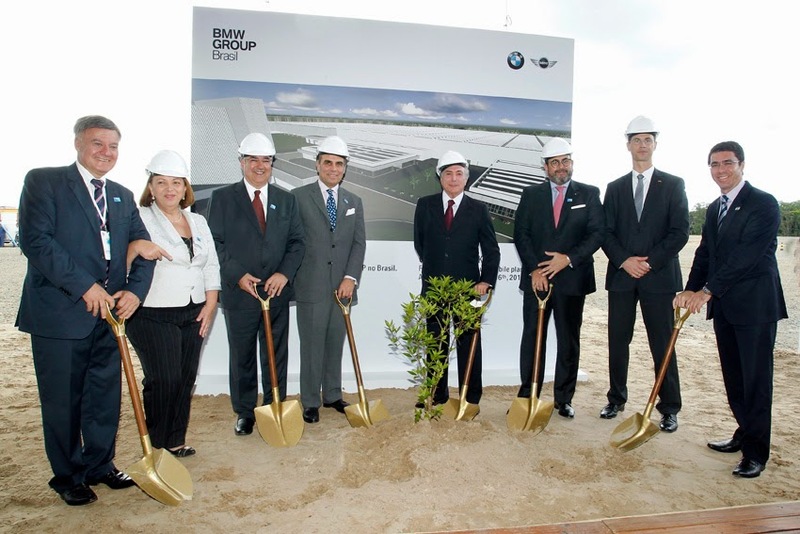 "With the construction of our plant in Araquari, we are strengthening our commitment to Brazil and adding a further milestone in the BMW Group's long-term growth strategy. Brazil has one of the world's fastest growing major economies and is a market with tremendous potential for the future," said Ludwig Willisch. 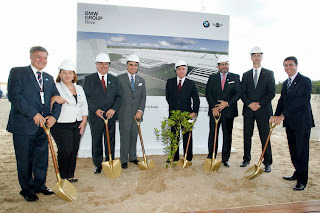 "Today, we are laying the cornerstone for the BMW Group's first automotive plant in South America. The new plant in Brazil will be an important element in our international production network and will make a significant contribution to the BMW Group's profitable and globally balanced growth. Our strategic principle of 'production follows the market' has previously proven effective in markets such as the US and China and will also ensure our success in Brazil as an important future market," said Harald Kruger, Member of the Management Board of BMW AG, responsible for Production. Over the course of the next few years, more than 200-million euros will be invested in the plant, resulting in a productive capacity of up to 30,000 vehicles annually. The production portfolio is supposed to comprise the following models - Mini Countryman, BMW 1-series 5-door model, BMW 3-series Sedan, BMW X1, and BMW X3. The setup of the new site will entail approx. 1,300 new jobs; 60 new employees are already on board.